This is the result of our first collaboration. We swapped the arm ring for ink, and learned much from each other in the process. 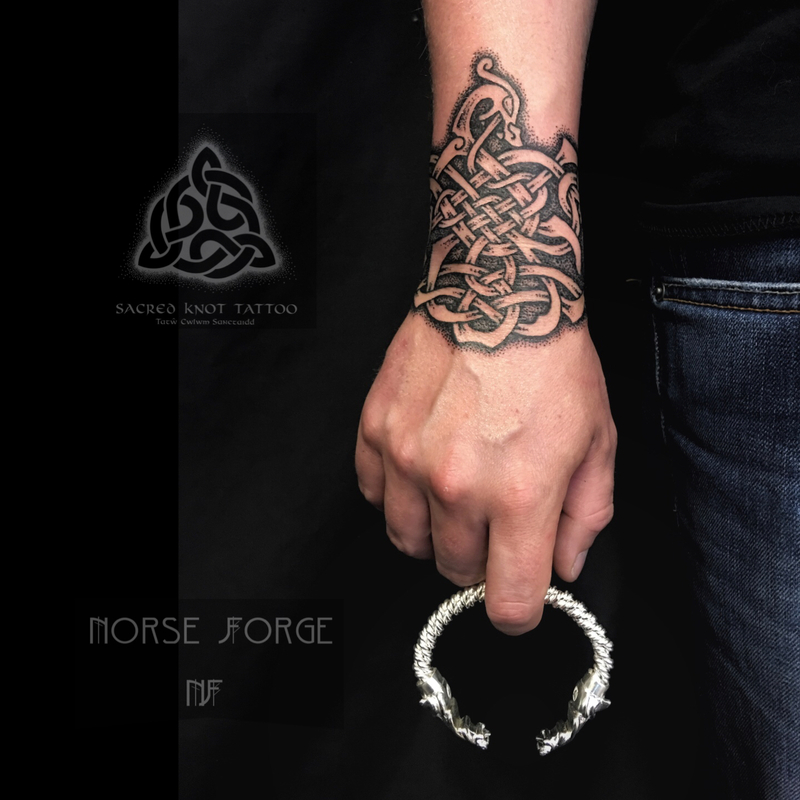 Norse forge apprenticed and works in the jewelly quarter in Birmingham, world famous for its craft and output. And on top of this, he worked on restoring the Staffordshire viking hoard. Some of the techniques used in this craftmenship have only just been rediscovered through practical hiaforical reenactment, and some are still mysteries to us.